Enhance your natural beauty and kiss goodbye to self-doubt with transformational permanent makeup treatments and results orientated training. 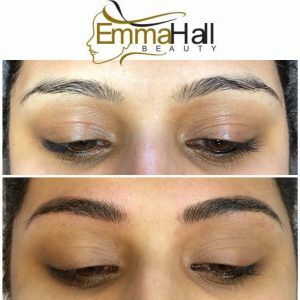 Emma will create a design that mimics tiny little hairs which look exactly like a natural eyebrow, making this the most requested procedure. Most women struggle to get their eyeliner perfect – With this exceptional and very popular treatment you can say good bye to your daily eyeliner routine for ever! 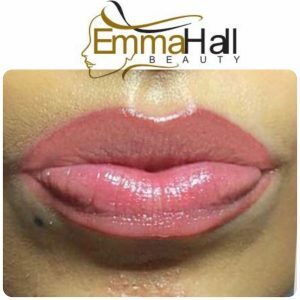 Lip treatments can appear to change the size of your lips achieving an incredible natural effect. Reshaping your lips will make them look fuller. I am over the moon with the results of permanent make up, before the treatment my lips were thin looking and asymmetrical in shape but now I’ve had the lip blush they are perfectly shaped, very full and most importantly extremely natural looking. I’m so pleased with my eye liner, it now takes second’s to do my make-up in the morning and has given me the confidence to go without make-up at the weekends. I’m absolutely delighted with the service & fantastic results that I have received. I am a model and my appearence is most important. I didn’t feel pain, just slight tickling nothing more. I couldn’t put the mirror down all evening and i’m sure my photo shoot will be great, It will save make up artist lots of time. Highly recommend for everyone! I would like to say a big thank you for completely changing my life for the better! My new eyebrows look fabulous. I feel so much more confident. I know I can enjoy my holiday with out fear of my normally pencilled in eyebrows coming off. Thank you so much, you made me feel completely at ease throughout the entire procedure and you were right – it didn’t hurt at all. 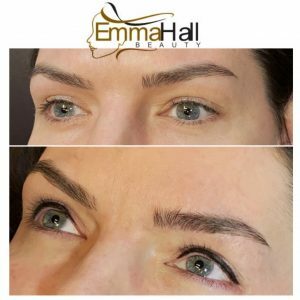 With over 12 years of extensive industry experience, hundreds of happy clients, a reputation for excellence, outstanding customer service values and a desire to share her knowledge and skills with others, Emma Hall is fast becoming one of the most popular ‘go to’ Permanent Makeup Trainers in the Midlands.